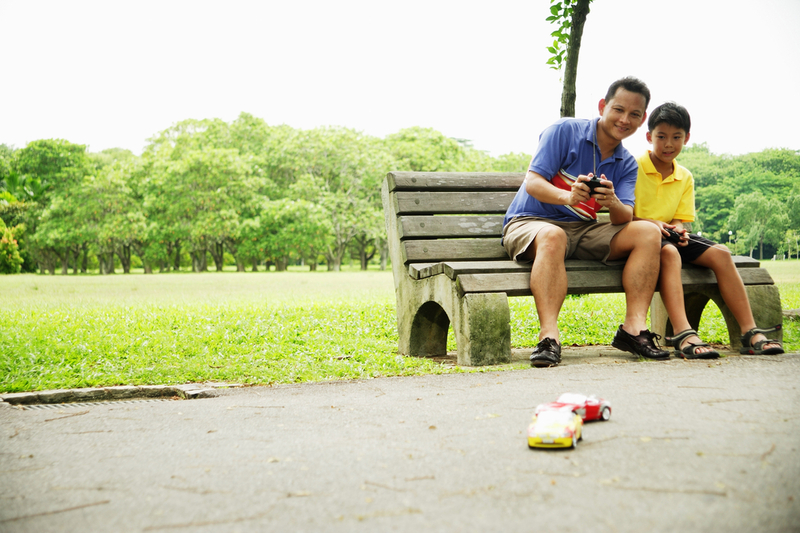 R/C cars are also known as radio controlled cars. They are powered by either battery or gas. These usually come in the form of cars or trucks. These are typically small and can be controlled by a special remote or transmitter from a distance. Sometimes, these can be called remote-controlled cars. That means the vehicles use a wire to connect to the controller. But when it is specifically called a radio-controlled car, that is an indication that it is connected to the controller via a radio-frequency link. These cars are usually powered by several sources. Electric models are obviously powered by electric motors that have rechargeable cells. The nitro models are those powered by a special fuel mix of nitromethane, methanol, and oil. These cars have small internal combustion engines – or glow plug engines. 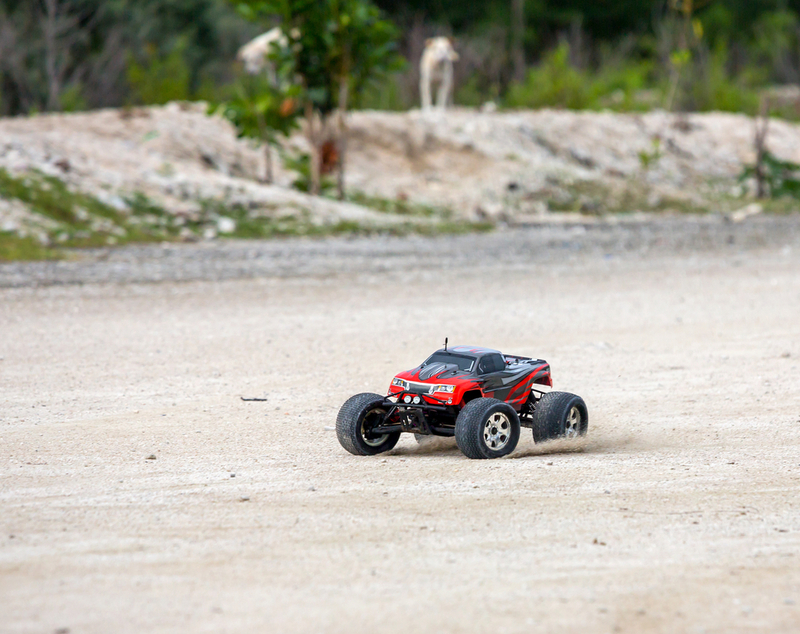 R/C cars, or at least, the radio-controlled ones, use a transmitter. This usually has a joystick to help control the vehicle. There are controllers that have a pistol grip and this allows a wheel-type of control for turning and a trigger to activate the vehicle’s throttle. The car itself has a receiver. This is responsible for changing the radio signal coming from the transmitter into electrical control signals. This change is necessary so it can be acted on by the components of the control system in the car. The radio is wired to an electronic speed control or servomechanism (or servo for short) that enables the vehicle to perform certain actions like braking, steering, throttle control, and alternating between forward and reverse gears. The radio system uses amplitude modulation (for radio signals) and pulse width modulation (for encoding control positions). R/C cars have two categories. One is the off-road vehicles that are built with functional off-road suspensions and fitted with wider tires. This allows it to be used on different terrains. The other category is an on-road vehicle that still has a suspension but it is not as robust as the one used by the off-road vehicles. This limits it to paved and smooth surfaces only. There are brands, however, that have recently come up with on-road vehicles with a fully functioning suspension to make it more flexible while racing. There are hobbyists and enthusiasts that are so passionate about R/C cars. You need to get to know these vehicles to really understand why this is the case. These cars are not just toys – although technically, they are. For some, these are remarkable vehicles that they use to channel their creativity and ingenuity. This is what this website will try to do – help you understand why there is so much fascination for these vehicles. We will provide articles that will discuss the different models of radio-controlled cars. There will be articles about the history of the cars and even a list of the best remote controlled vehicles in the world. We will even throw in an article or two about casino games that have a car theme. This should be a great entertainment alternative for those who want to dabble in some online gambling. We can also write an article about famous car-themed movies as well. Once you get to know what R/C cars are, you will understand what the fuss is all about. You might even find yourself captivated enough to want to pursue this hobby as well.